If you’ve ever taken a couple of kids shopping before, or completed a school run on a typical weekday morning, then you will be aware of just how stroppy, strident and loud they can be. Just ten minutes into a journey and they can begin to make it feel unbearable because of the simple fact that they are either bored, eager to get to their destination or quite frankly would rather be anywhere else but in the car with you. If that rings true to you, then imagine how unbearable it would be if you took them on a road trip. The UK has plenty to offer in terms of sights and unforgettable experiences. In the eyes of an adult, a road trip can be an exhilarating experience. 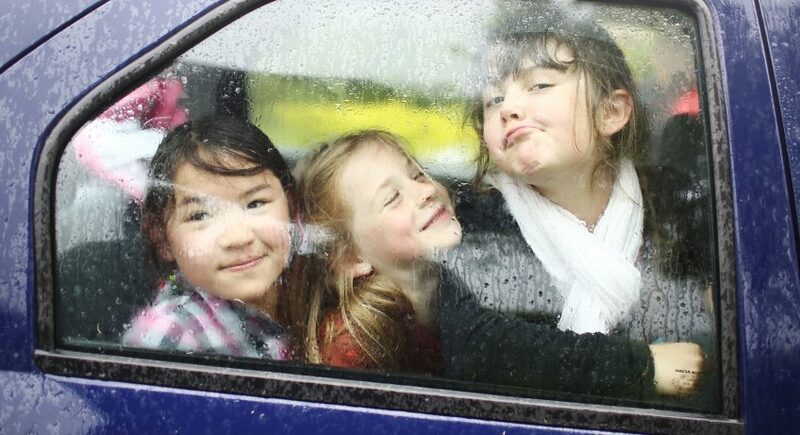 However for a child being stuck in a car with siblings and parents can be the height of boredom. Luckily there are a few ways to make car journeys that little bit easier for everyone involved. One of the most important things to get right when it comes to a lengthy road trip is comfort. 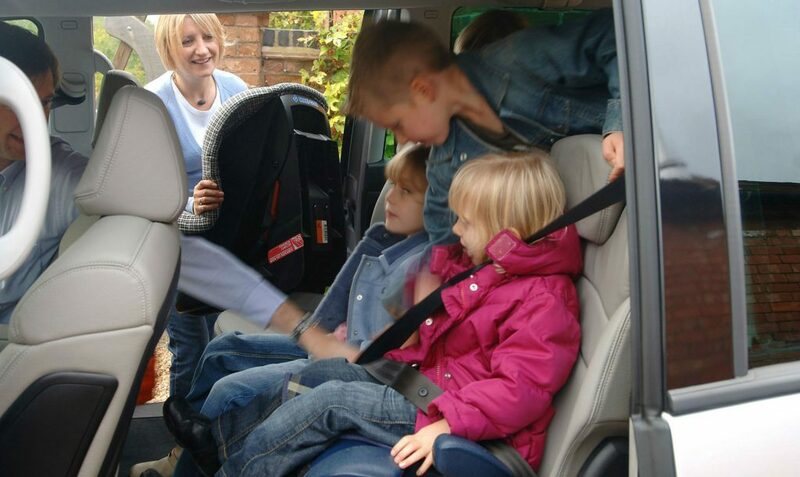 You want to make sure that your passengers (especially children) are as comfortable as possible. So your little old fiesta with no air con and broken windows just won’t do. You need something a bit more luxurious. Consider hiring a car for your trip. A shiny new vehicle can be exciting for children and will add a bit of magic to the trip. Look for a spacious interior, as well as other features such as cup holders and built in in-car entertainment. As an adult you just want to keep driving so that you can get to your destination. However, children don’t have the same attentions pan as adults and are therefore unable to focus for long periods of time like we can. It’s therefore vital that you break up the journey as much as possible for your little ones. A big clue that it’s time to stop should be when you hear the dreaded “Are we there yet?” from the back seat. To make life a lot easier on yourself, plan your pit stops in advance so that you can be sure that all of your stop locations have the facilities that you require. For the sake of safety it’s important to stop every couple of hours in order to stretch your legs, and have a coffee and a rest in order to be able to stay alert on the road. Particularly if your children are very young, it might be a good idea to plan your journey around their normal routines in order to make things a little bit easier. It’s not unheard of to do the majority of the driving overnight when there are young kids in the car. When the kids are sleeping in their pyjamas in the back seat, it’s a lot easier to hammer out the miles and hopefully they will be all fresh and ready to start the day when you wake them after reaching your destination. The views might be amazing over those huge viaducts and mountain passes, but the children simply won’t appreciate them if they are feeling hungry. Ensure that you have plenty of snacks to graze on throughout the journey so that there’s no chance that the kids will feel hungry. There are plenty of healthy and car-safe snacks that are suitable, or if you’re wanting to provide the kids with something a little bit more substantial, then sandwiches usually go down pretty well. The added bonuses of bringing your own sandwiches are that it’s cheaper, and you can stop just about anywhere in order to enjoy them. Travelling anywhere with children can seem like a bit of a chore. However get them on your side by making things as entertaining as possible for them. Take plenty of breaks, supply them with food and games and you should be able to get where you’re going with relative ease.